Join the Benzy frenzy! 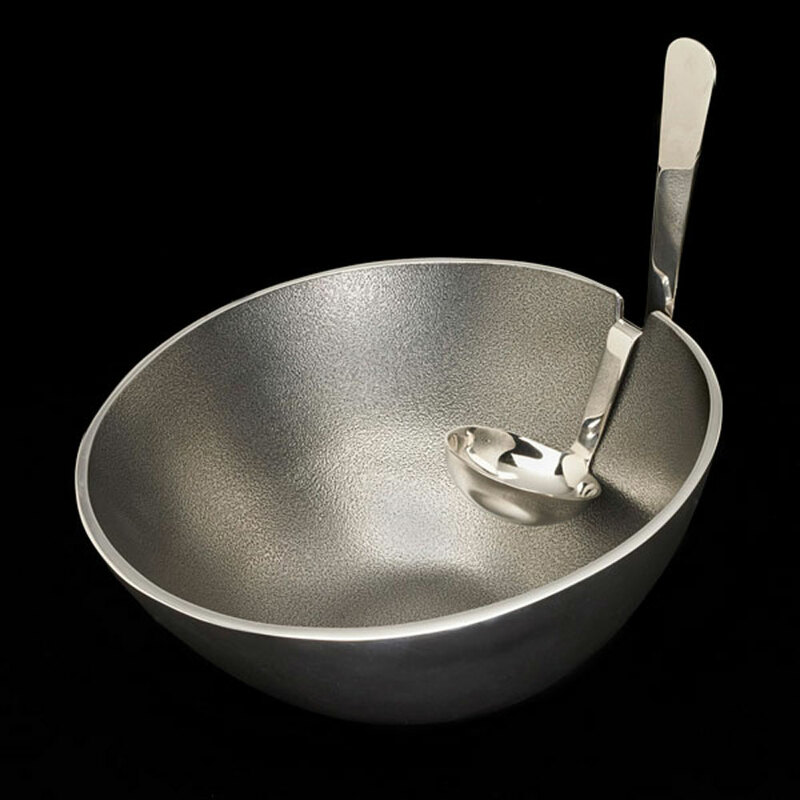 This contemporary chubby-round bowl has a tall "bent" spoon that fits snugly into the rim of the bowl. Lift, scoop 'n serve & put it right back in its neat little niche. Mega Benzy has a large bowl-- great for salads, berries & side dishes. Available in 3 other sizes: Tiny, Baby & Big. Available in 4other styles: Pearl, Heart-to-Heart, Splatter & Jazzy! Handcrafted of food-safe polished aluminum. Size: 8.75" x 8.75" x 4"